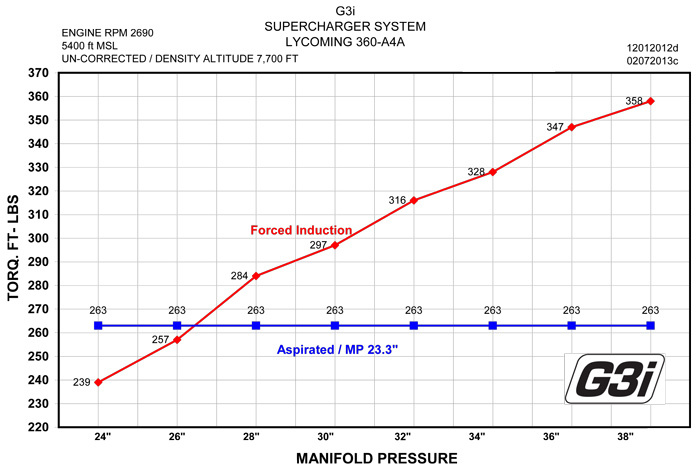 Test engine, Stock / Lycoming 180hp, 360-A4A incorporating a belt driven G3i Supercharger. 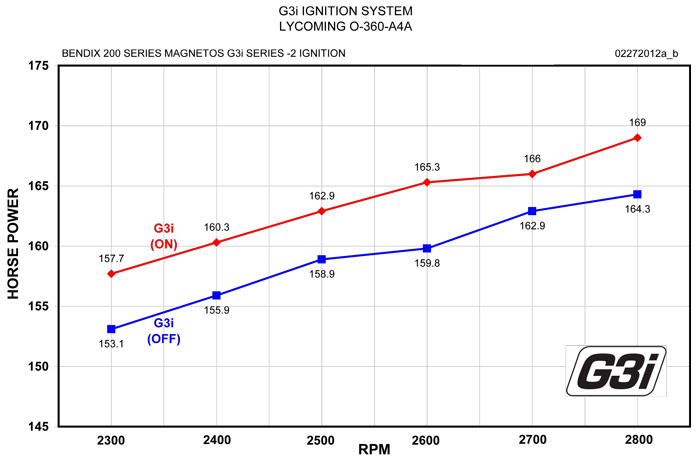 Fuel injected Pre-Supercharger, with Bendix 20 series magnetos modified with G3i Series –2 ignition system. The engine is run at 100% throttle opening with adjustable manifold pressure, the load target RPM range is between 2670 – 2690 rpm. Producing peak Torq. / HP @ the propeller flange. Test engine, Stock / Lycoming 180hp, Carbureted, O-360-A4A,with Bendix 20 series magnetos. 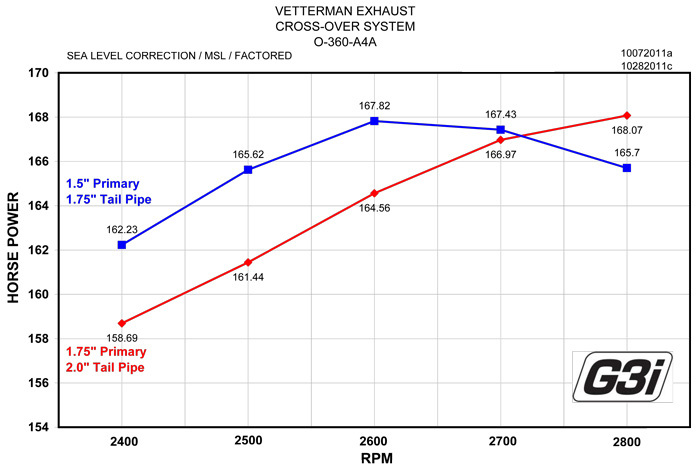 The engine is run at 100% power, the load target RPM range is between 2400 – 2800rpm. 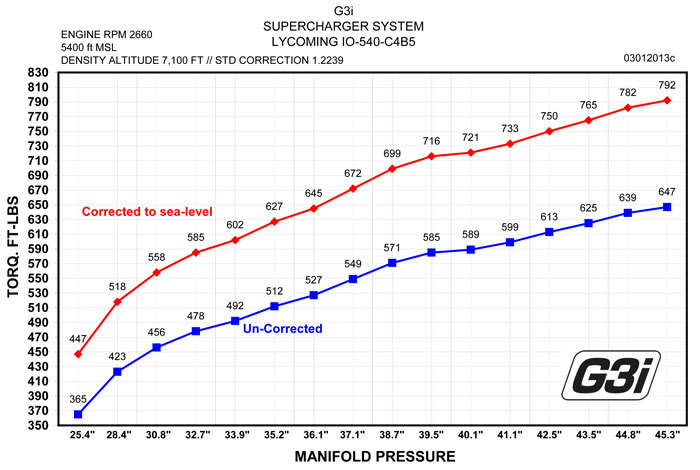 Focusing at 100 RPM intervals through this range, producing peak Torq. / HP @ the propeller flange. 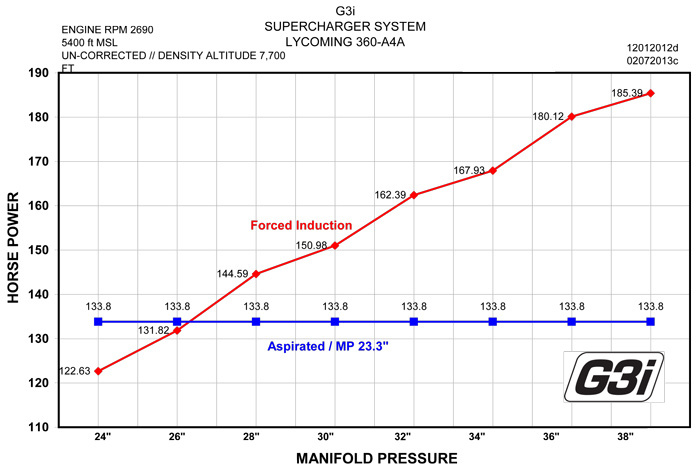 The Supercharger graphs are actual samples, Blue represents un-corrected HP/TORQ. @ 5400ft above MSL and Red is corrected for sea level performance.